Makes 15 servings, 2 mozzarella bites (25 g) and 1 Tbsp. (15 mL) sauce each. Cut cheese crosswise into 15 slices, then cut each slice crosswise in half. 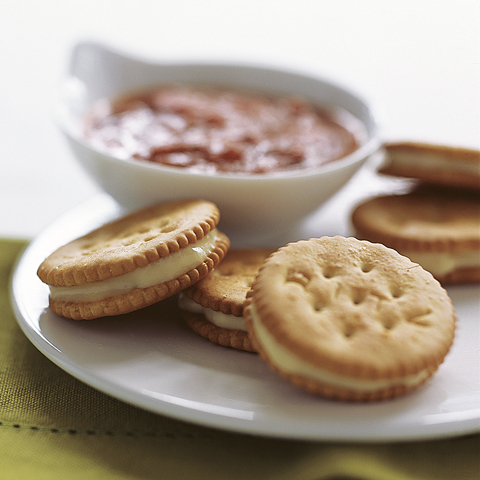 Fill crackers with cheese to make 30 sandwiches; place in 17x11-1/2x3/4-inch pan. 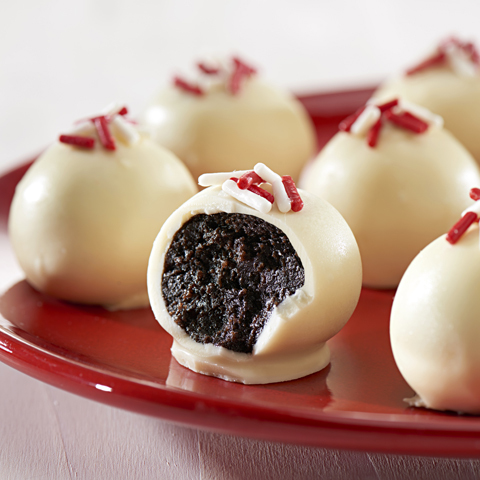 Bake 8 min. or until cheese begins to melt. Meanwhile, cook pasta sauce until heated through. 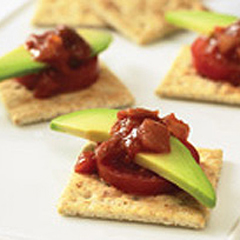 Serve cracker sandwiches with sauce. 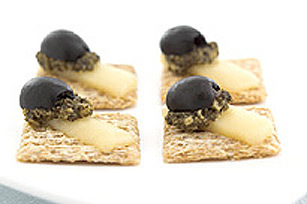 Special ExtraTop each cheese slice with a small fresh basil leaf before covering with remaining crackers. Makeover - How We Did ItLove the great taste of fried mozzarella sticks? 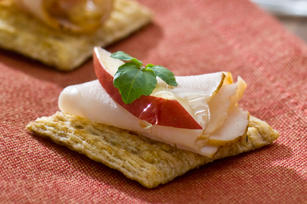 These baked cracker sandwiches taste just as good! 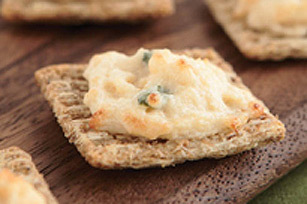 And you'll save 30 calories and 6 grams of total fat, including 2 grams of saturated fat, per serving by preparing them with part-skim mozzarella cheese; and Ritz 30% Less Fat Crackers instead of the bread crumb, cheese and egg coating.